Yes, it’s on! Since midnight, the FINAL CLEARANCE SALE on the Equinox Online Store is running! Prices have never ever been lower and it’s been quite a while since our last sale, so we are sure there is something out there for everybody. Almost all items are reduced heavily in prices, even from befriended labels – so make sure that you check all shop categories! EVERYTHING MUST GO – and we really mean it! Many CD albums are only 1 Euro. 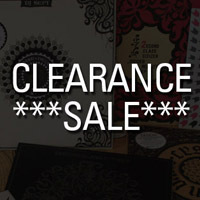 This will be the very last sale as our label is closed and space is needed in the office rooms. If that’s not enough, we additionally have two brand new reissues available. First, there is a reissue of Ceschi’s “The One Man Band Broke Up” album, now on black vinyl with a brand new poster. And – LAST BUT NOT LEAST – a special 200 copy re-press of DJ Scientist’s epic “For Better, For Worse” album is now available. A small bunch (about maybe 20-30 copies) of these re-presses come with a SENSATIONAL bonus booklet: A complete list with all samples that were used for this album (which are roughly around 300), meticulously researched by Scientist and accurately listed by artist name, song, album title and more. This special version is called “THE MATRIX EDITION” and we believe that a list like this, all risks aside, has never been released for an album which is proofed to be a 100% sample-based. Even the artwork of the album is sampled and listed with original sources. This special edition is now available as a pre-order – and should be available in about 2-3 weeks. The booklet of course will be a piece of art itself – with additional design by the mighty Raincoatman. The sale will run until Sunday, January 19th. However, we highly recommend to buy now as some items are only available in very limited quantities and we might change the prices when there is only a handful of copies left. Please also share the info and the link to our shop with your friends. Special thanks to all customers who have kept the label alive the past years by buying for the regular prices. For all test pressings check the new test pressings category. A lot more items will be listed shortly – It just takes a while to sort out the archive (UPDATE: most early test pressings are now sold out).